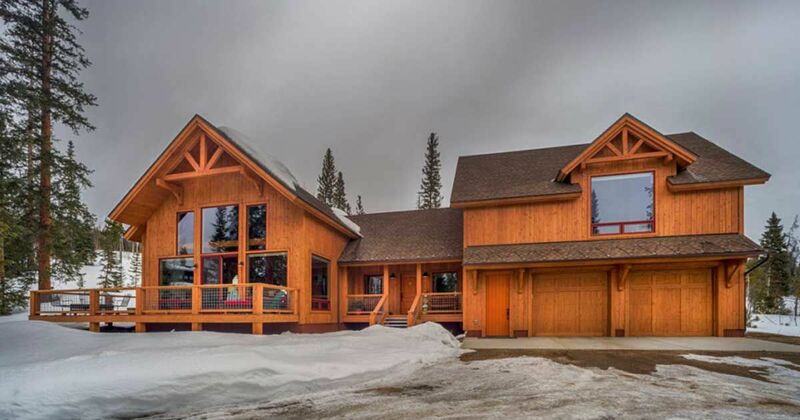 Have you ever dreamt of owning a timber home? The sweet smell of wood wafting through the vaulted ceilings, pine trees framing your window pane, and wooden corners meticulously carved and contorted to beautiful angels? It's a dream many of us have had, and that has now come to life in this stunning Colorado custom build. The monumental home is crafted to perfection with a chefs kitchen, a master bedroom decked out like a presidential suite, and the quintessential vaults, beams, and wooden angles that somehow take you back to a simpler time. But while this traditional timber home may have all the classic elements you love, we assure you it's packed with modern amenities. You could fall in love with this home just from the outside. 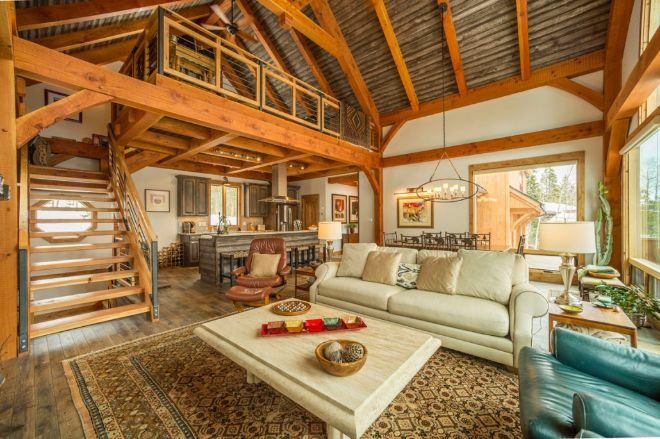 The massive windows invite you right in, and that deck looks like the perfect place to enjoy a piping hot cup of hot cocoa after a day in the snow. 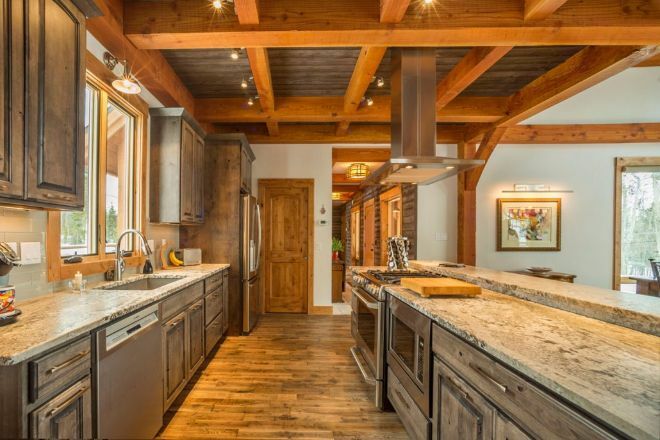 This kitchen is fit for any professional chef. We love how they've differentiated this space by using a very worn, and rustic looking wood for the cabinets. It really pops against all that stunning golden and knotty wood that bolsters up the rest of the home. We also love how the kitchen opens right up to the rest of the living and dining room, playing on the inviting open concept we love about timber homes. Here you can see how those gigantic windows light up this entire home. The natural light that pours into this space reflects off of those shiny wood floors, and the corner windows frame this open dining space beautifully. From here you can see the stunning design they've incorporated in this home. The beams and woodwork are the real show stoppers, so the muted couch, rug, and table are really just there for subtle beauty and functionality. Sit back and enjoy the architectural masterpiece around you. It just keeps getting better. 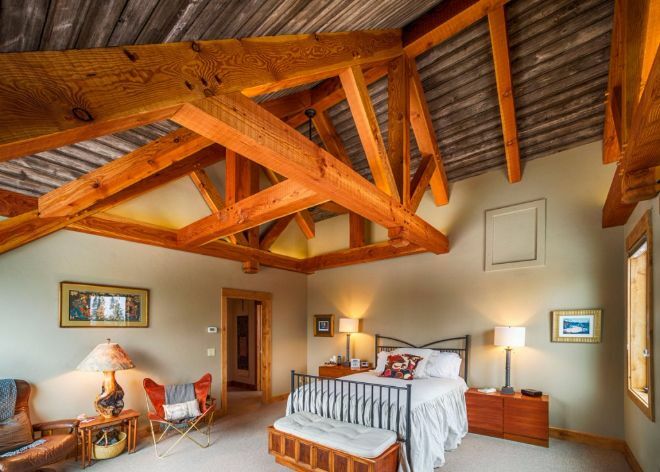 This master suite is all about that vaulted ceiling and those massive beams. The design of the beams draws your eyes right up to the peak, then back down to that big white fluffy bed. Finally, the master bath. This is purely decadent. 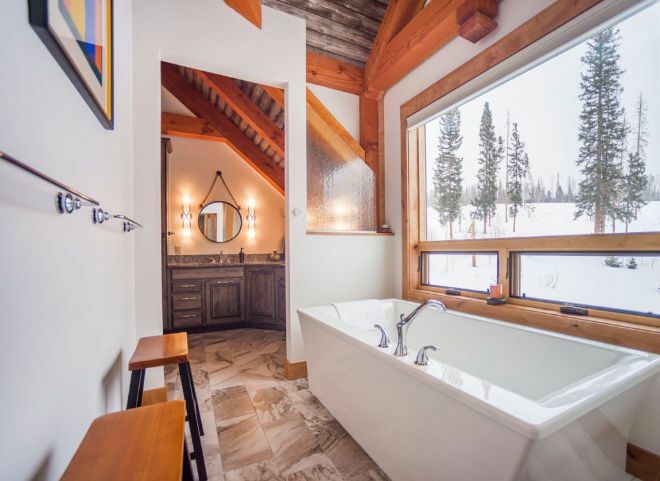 From the soaker tub to those incredible stone floors, to that massive window that overlooks the untouched snow and those towering pines. 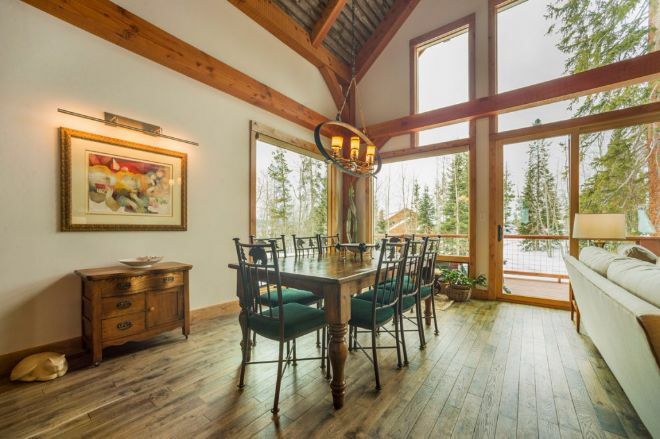 This is the perfect place to unwind after a day in the snow, and gazing at your incredible home. SHARE this home with the timber lover in your life! 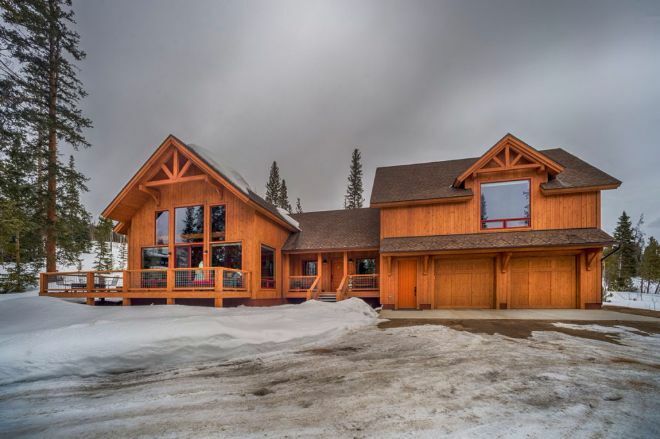 A great timber frame home with a well-designed floor plan.